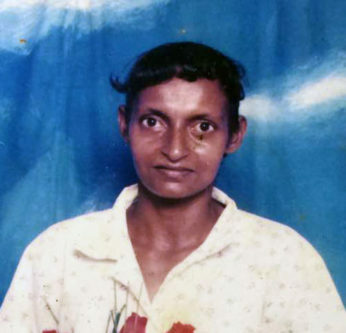 Patricia Amanda Ronald, the woman whose partially decomposed body was found on a dam at Vreed-en-Hoop, West Coast Demerara (WCD) during last week, died from drowning, according to the results of an autopsy. The dead woman sister, Dianna Ronald yesterday confirmed the findings with Stabroek News. She said the autopsy was conducted on Monday and Patricia was laid to rest on Tuesday. Dianna said although the family had initially suspected foul play, they are now trying to convince themselves of the manner in which Patricia died based on the autopsy report. The body of Ronald called ‘Patsy’, 49, of Lot 5 Crane Housing Scheme, WCD was discovered on a dam in Vreed-en-Hoop around 7:30am two Tuesdays ago. Two days after the discovery, she was positively identified by Dianna, who had visited the Vreed-en-Hoop Police Station to make a missing person’s report. Dianna had previously told Stabroek News that last Thursday morning while she was making the report, she was shown a photograph of a woman by a police officer and later identified the person in the photo as her sister based on the clothing she was wearing. 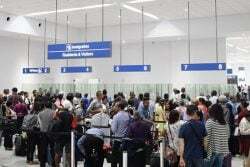 She had related that Patricia was a patient at the Georgetown Public Hospital Psychiatric Clinic for the past 20 years. Dianna had said that she last saw her sister alive two Sundays ago when she noticed her leaving home. “I see she did leaving home Sunday morning while I did washing, so I ask she where she going and she tell me she going by Tricia, a lady she does clean for in town,” Dianna had explained. She said to date the family is unaware of what transpired after this.